The most important tool of any dancer is the body. It is the instrument through which they communicate with the audience. No-one expects dancers to be anatomy experts but it is now widely accepted that having at least a basic working knowledge of that tool, of anatomical structure is important, not least because it helps understanding of each body’s particular unique limitations. Yet, many students continue to find the subject of dance anatomy something of a switch off. 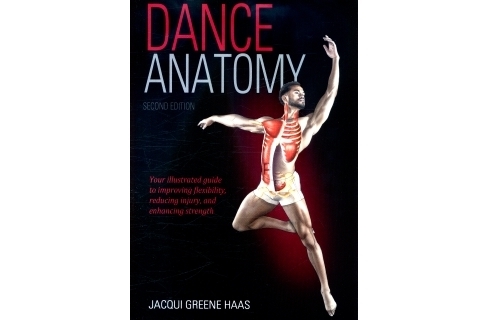 The second edition of Jacqui Greene Haas’ Dance Anatomy should go some way to easing the path to learning. One of the biggest hurdles to learning about dance anatomy is the language. While it’s not possible to avoid the terminology, Dance Anatomy is not a ‘dry’ textbook but is written in an easy to understand manner. Haas has been the athletic trainer for Cincinnati Ballet since 1989 and relates anatomical knowledge directly to the studio and thus stage experience. She presents over 100 exercises, each designed to promote correct alignment and placement, enhance flexibility and proper breathing, and the help prevent injury. Each is explained in detail, and how it will help improve technique. An Exercise Finder at the back of the book is particularly useful when looking for something specific. Unfortunately, it’s not complimented with a regular index, the book’s one major failing. Many dancers are visual learners and Dance Anatomy is certainly visually appealing. As one would expect from publishers Human Kinetics, the book is liberally and excellently illustrated, each picture allowing the reader to see precisely what is being talked about. Most illustrations capture the dancer in motion, highlighting the active muscles associated with each movement. 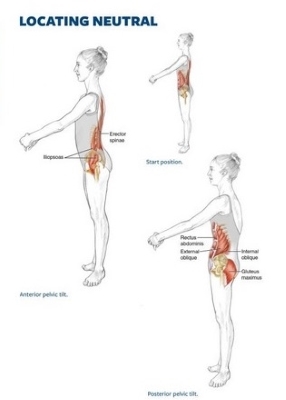 Well structured, Dance Anatomy opens with chapters on the Dancer in Motion, followed by the important but often forgotten topic of Brain Health, then Injury Prevention. Subsequent chapters focus on different areas of the body from the spine, ribs and core to ankles and feet. A final chapter looks at Whole-Body Training for Dancers. Each chapter gets to the point and is easy to follow. I particularly appreciated the chapter on ribs and breath. While dancers are regularly told to breathe, how to breathe is rarely addressed; and remember, breath feeds the brain as well as the muscles. As Hass observes, dancers commonly breathe in their upper chest as they are told to ‘pull up’. This often results in lungs not being used fully, which in turn leads to fatigue. The chapter takes you through breathing correctly during movement. Dance Anatomy is clearly aimed at dancers and dance teachers but will also be of interest to anyone simply interested in the art and performance of dance, dance-conditioning trainers and dance medicine professionals. All round, an excellent resource.